Maj. Monford D. Grimes, son of Mr. and Mrs. T. H. Grimes, graduated from Okla. Univ. ; husband of the former Bess Parker. 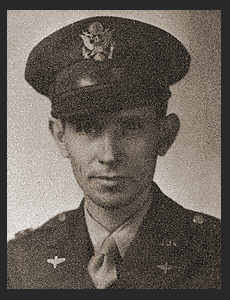 Entered Air Corps in 1942, trained in Rome, N. Y. and Denver Colo.; served in Hawaii, Guam and S. Pacific Area, and Guam. Awarded Asiatic Pacific Theatre Ribbon with two Battle Stars, Victory Ribbon, Am. Theatre Ribbon, one Bronze Star.